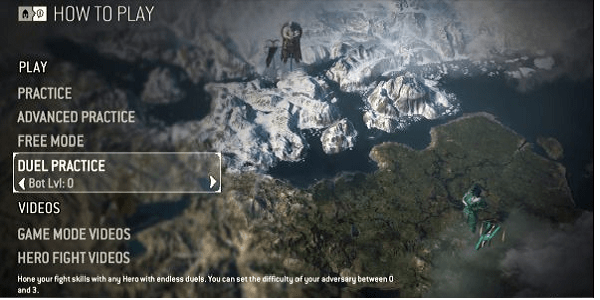 For Honor Guide: How to Master and Enjoy Ubisoft's Latest | Nerd Much? 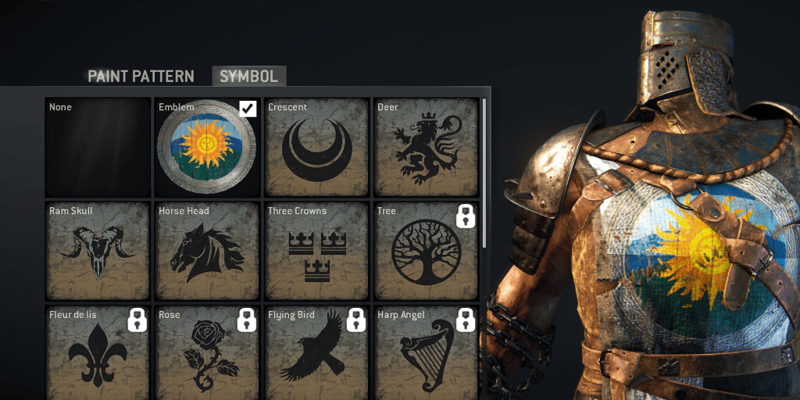 For Honor’s first big patch just came out a few days ago and the game has been out for a few weeks now, so we thought it might be good to publish this guide. The first thing you should know is this is not a “normal” tips & tricks style guide to get better at the game. 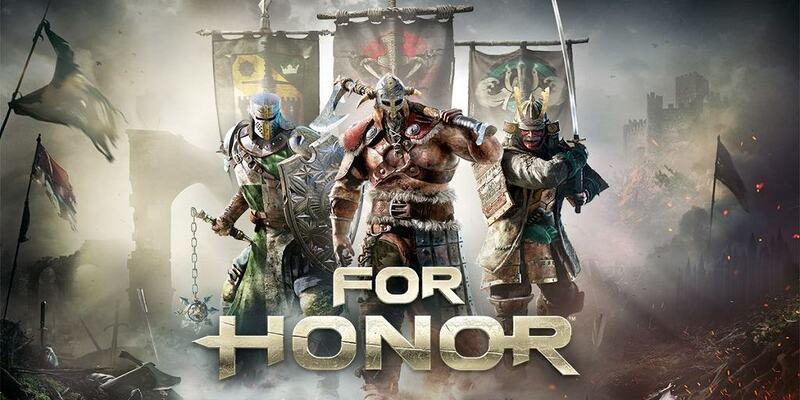 The thing about For Honor is the people who “get it” really love the game, but there seems to be a much larger group who either hate the game, find it to be disappointing or think it’s just okay. When I first booted up the beta I fell in love with the combat system. I was hooked immediately and thought For Honor was one of the best competitive multiplayer games I’d played in a while. But then, after dozens of hours, I fell into the “just okay” camp. It seemed that the game got sorta repetitive and I just wasn’t having as much fun as I did in those first ten hours. Then I got a PSN gift card as a present and thought “what the hell” and I purchased the digital download. After playing the full retail game, I began to realize that I had only scratched the surface. Honestly, I didn’t know how to play For Honor the “right way” for me. I was doing Dominion and Deathmatch modes and was so annoyed by the “dishonorable” play I was seeing. It just wasn’t as fun when matches came down to outnumbered fights. Then I started playing Duels more. Then I discovered that the campaign wasn’t too bad. And finally, I got obsessed with mastering every hero and spent hours in practice mode learning all the ins and outs. Now I view For Honor in a different light. And I want to share the light with all of you. What you’ll find below are important notes to know about the game right away, a few ways to make the game more enjoyable, and, ultimately, how to get better at fighting. After reading this so-called “guide,” you will get better at beating the crap out of people without throwing people off cliffs – and have more fun doing it. 1.) Complete All Tutorials — For Honor has a completely new, unique battle system so it certainly doesn’t hurt to run through the tutorials to learn it. Luckily, it is fairly intuitive and simple (yet difficult to master). The tutorials are easy, don’t take too long, and, most importantly, award lots of steel for completing them. You will get 3,500 steel for completing both the basic and advanced tutorials, which is more than you’d probably get for finishing three days worth of quests. Even if you think you understand the battle system, just do the damn tutorials because, at the very least, they provide an opportunity to practice your parry and guardbreak timing. 2.) 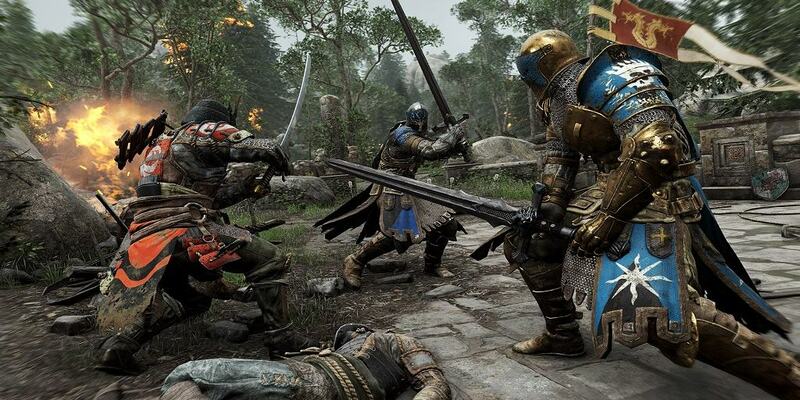 The Campaign Gives Multiplayer Loot/Steel — Let’s be honest here, For Honor was not created with a single player campaign in mind. We all know that. What I didn’t know, however, is that some of the stuff you earn through the campaign affects multiplayer. Not only can you unlock really cool armor engravings by completing parts of the campaign, but you also earn gear boxes and steel that can be used in multiplayer. I knew very little about the campaign at first and, like most multiplayer-focused games, I put off playing it for a number of reasons (one of which we’ll get into later), but if I had known that the rewards weren’t completely separate from the online modes then I might have given it a shot way sooner. 3.) Don’t Spend Your Steel Yet! — I wish I knew this before I sunk dozens of hours into the game. It is virtually pointless to spend your steel on scavenging for a non-prestige character. For every prestige level your character earns — you prestige your hero by hitting level 21 with him/her — the better the equipment drops within the scavenger crates will be. I had absolutely no idea that there was even different colored equipment at first. I thought the equipment ranked from level 1 – 4 and it was really rare to see a level four piece of gear. Then when the full game launched and people started leveling up, I noticed that there is also blue (rare) and purple (heroic) gear and the max gear level is 108. If your hero has not prestige to a reputation 1 or higher, you will never see this colored gear no matter how much steel you spend to scavenge. So with that said, I would actually wait to open boxes or spend steel until you’ve at least prestige a hero once and obtained some reputation. 4.) Contrary to Other Guides, Don’t Stick to One Hero — I’ve seen A LOT of talk about For Honor online and nearly every guide or tip video says to stick to one hero and master them before moving on. I kind of understand that and actually agree to an extent, but it is not what I did when I first started. Experimenting with every single hero made the game less repetitive and more fun. This also turned me into a more well-rounded player, but the trade-off became I was a sort of “jack of all trades, master of none.” Other guides discuss the nuance in the combat system and how it is really important to master one hero first; this is true, however, it is also true that it is just as important to know your opponent’s hero as it is to know your own. 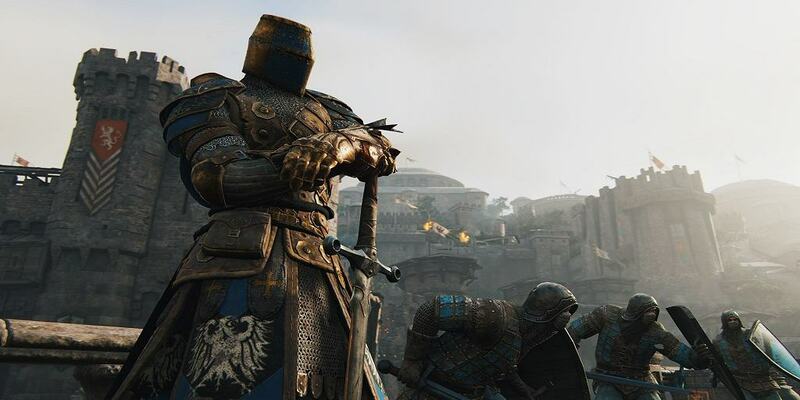 For Honor is a game that is won with defense first and offense second, so it is actually better to know the movesets of every hero in order to know how to counter them. The other trade-off is your road to a higher reputation and better gear will be longer because your leveling will be spread out among more heroes, but it will be worth it in the long run. Playing the game this way has made me a far better competitive player. Think of it this way: if you are dueling somebody and their Peacekeeper is obviously better than your Orochi — you’ve already lost two and there’s no way you can win this match-up — that doesn’t mean they’re better than you all-around because you are equally as strong with Lawbringer or Berserker. If you are well-versed in three, four, or even all the heroes than you can pull out a different hero to create a more favorable match-up. If you are really good with one hero, but only one hero, you are screwed when you come up against a bad match-up that you cannot overcome. So, be well-rounded! 5.) Find the Best Mode for You — Okay, so this might seem super obvious. You are, of course, going to find the mode that you enjoy the most in any game, but it is even more important in For Honor. The core gameplay and combat system changes very little between modes, but the online worlds of Duel and Dominion are completely different. I loved For Honor the instant I started up the beta and began playing. The combat system was great and I was having a ton of fun. Then I started to get really annoyed at outnumbered fights. It is very, very hard to win a 3v1 or 2v1 fight in this game and that is what Dominion or Elimination usually turns into. For me, it was even less fun when I was on the favorable end of that beat down. There’s nothing worse than trying to come back from a losing duel to reclaim your honor then one of your teammates comes barreling into the frame, picks up your opponent, and cheeses them right off a cliff. If that is fun for you, then, by all means, have fun with it — that’s what video games are for, after all. But if you prefer something a bit more competitive, then you should play Duel. It took me a while to realize that the competitive playing field in Duel/Brawl is way different than Dominion and, for the most part, there is a lot more “honor” in those modes. Most players who participate in Brawls will watch their teammate fight before jumping in for a 2v1. It is already challenging for somebody to kill one person then have to fight another with half of their health remaining; it’s impossible for them to fight two people at the same time with half their health. So, before the salt levels rise too high, let me end this part by suggesting you try every game mode and then just stick to the one that you feel is right for you. But let’s say you don’t want to fight each other because you and your buddy are all about harmony. Well, then you can hop into a Brawl on the same team and fight another pair of heroes. This is a lot of fun too. Unfortunately, I don’t have a ton of IRL friends who play video games (and the ones I do play on PC or Xbox) so I didn’t have that one go-to friend to play For Honor with. The good news is: the community is not completely toxic and I was able to meet lots of great Brawl teammates and Duel practice partners. What’s even better than that? I’ve accumulated roughly twelve pounds of pure salt from my For Honor enemies — it’s delicious! It’s really fun to get into a back-and-forth Duel with someone, each of us changing our heroes between fights to create the best match-up, trash talking via PSN messages while the game loads. I’ve added just as many “enemies” to my friends’ list as I have “friends,” because these people are really great competition and I enjoy facing off against them. There are certain things that simply “won’t click” when you’re playing a real match in For Honor, but they will when you’re “in the lab” so to speak. One key thing it took me forever to learn is that this is one of the few fighting games where combos are performed very, very slowly. Other fighting games have you inputting strings at lightning speed and this one has you hitting the buttons after the previous attacks from is finished. Similarly, I had (still do) trouble with countering guardbreaks for the longest time – the trick is that you have to press the GB button as soon as your opponent makes contact with you, NOT when you see the GB icon. You can practice countering the guardbreak by going into the aforementioned advanced tutorial, but it’s relatively easy to counter when you know it’s coming. It’s much better to practice these things against an opponent that fights back… but wait until you fully understand the hero and their mechanics before fighting a human opponent. You can practice countering the guardbreak by going into the aforementioned advanced tutorial, but it’s relatively easy to counter when you know it’s coming. It’s much better to practice these things against an opponent that fights back… but wait until you fully understand the hero and their mechanics before fighting a human opponent. 9.) The Campaign is a Fun Way to Learn Every Hero — so I already said that the best way to practice is to do so against bots in the “How to Play” mode, but I want to add that the campaign is great for this too. The campaign offers a fun way to learn every hero in the game while also consuming a decent (albeit trope-heavy cliché-fest) narrative. Many people have called the campaign an “extended tutorial” and, while I understand that criticism, I think it’s more than that. Also, that’s not necessarily a bad thing. To recap: the campaign is pretty fun in its own right, unlocks rewards to be used in multiplayer, and serves as a good way to practice every hero. Playing through the campaign makes you a more versatile fighter in For Honor. But I’m not just recommended the campaign in this section as a way to get better, I’m recommending you play the campaign on “realistic” difficulty. Realistic is the hardest difficulty, but the real reason you should play on this mode is because it removes every aspect of the HUD. What does that mean? You have to rely on animations to know where to block/parry. Normally, you can see what stance someone is in based on the white directional arrows that appear in front of them. Realistic mode gets rid of that. You should know that (to my knowledge, at least) there is no such thing as “realistic” in multiplayer; however, playing through the campaign on this difficult will undoubtedly make you better at defense. This has worked wonders for me. 10.) Watch Good People Play — this is something the younger generation knows all too well. People have my generation are partial to saying/thinking “I don’t understand why these kids would rather watch other people play a game than play it themselves.” For the most part, I think this is true, but if you are doing so to get better it makes sense to me. YouTube wasn’t around when I first started playing Sonic the Hedgehog so watching others who were good at the game was kind of foreign and new to me. I first started doing this when I became obsessed with The Last of Us multiplayer. There’s a small, dedicated community of YouTubers (at least there were) who only play and cover TLOU Factions. I watched Sancho West and Nick-Eh-30 to get better at that game. That was the first time I learned how beneficial YouTube could be for improving your skills in any video game. For Honor is no different. I highly recommend you watch some high-level play on YouTube. The strategy guides and tips videos are great, but simply watching two dominant players square off can help even more. There are certain things you won’t pick up unless you are playing against really good people, and you won’t play against really good people if you don’t get better – it’s a catch-22 that way. Enter YouTube. Go watch some great For Honor players duke it out and you will see how they utilize feints and employ mix-ups. You will see how the heroes are tiered and what heroes make for good match-ups. I personally recommend Mege and Tru3Ta1ent as I think they are the two best For Honor players on YouTube. Watch Mege’s warden videos for great tips on mastering the knight vanguard and Tru3Ta1ent has videos on every hero in the game. Good luck! Do you have For Honor tips to share? Did these help you out at all? Do you want to see more guides like this?